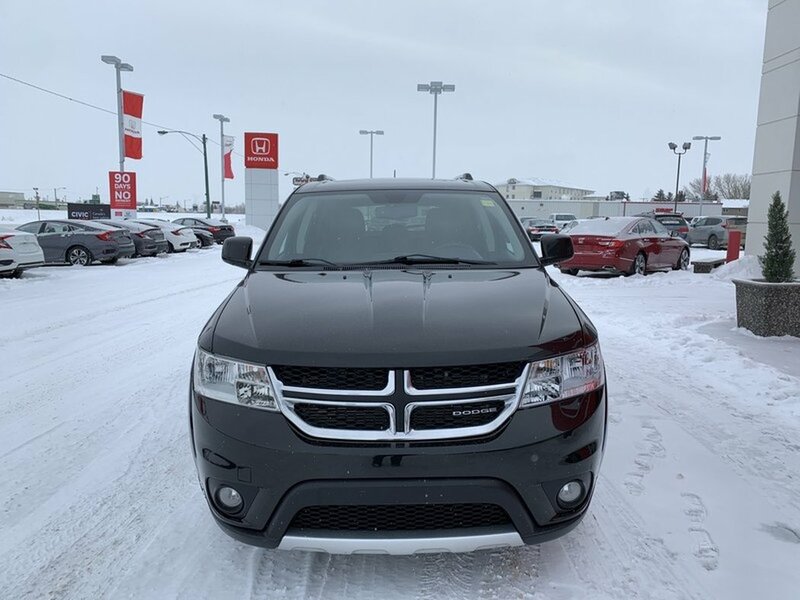 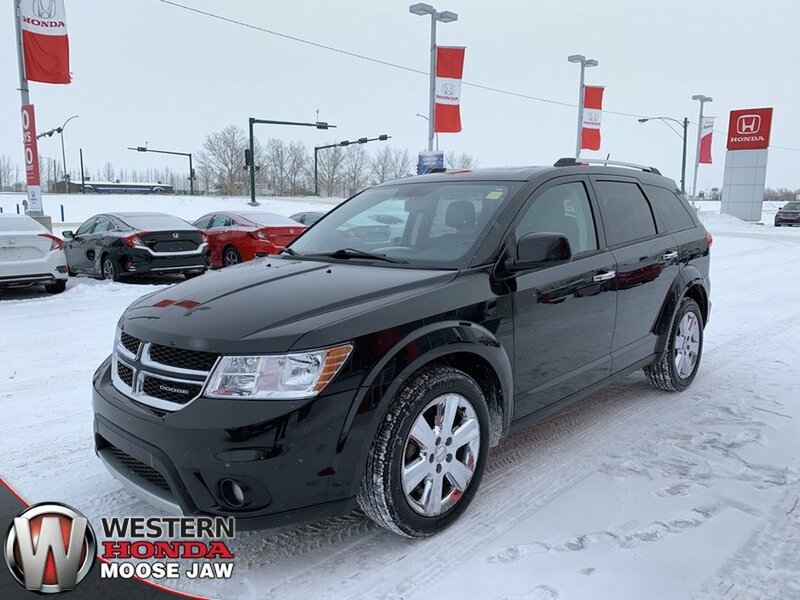 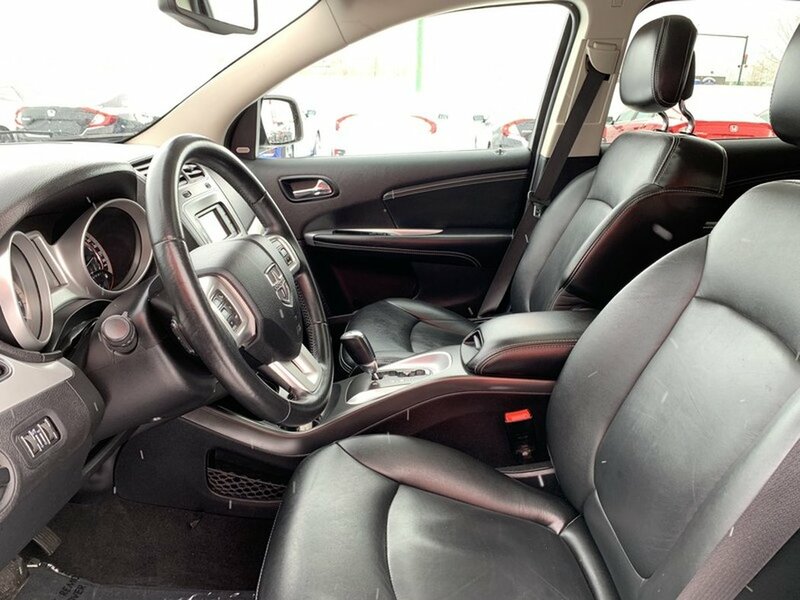 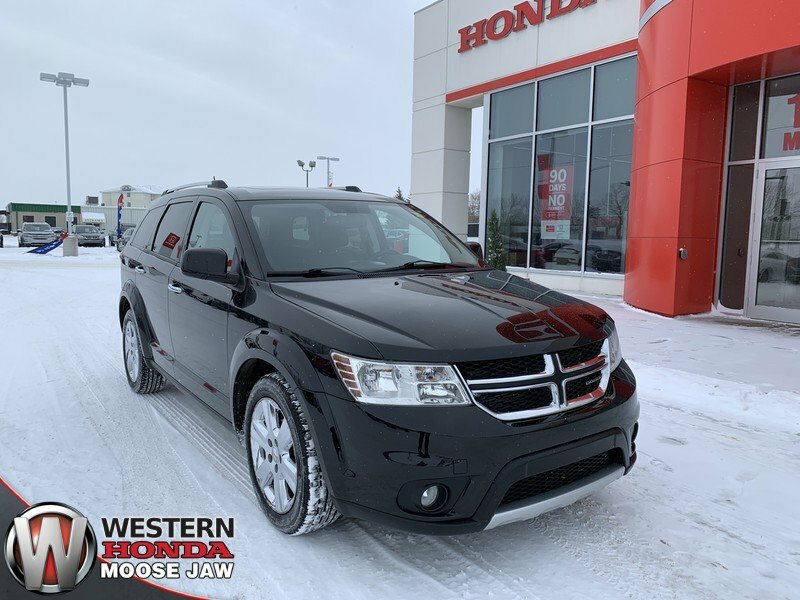 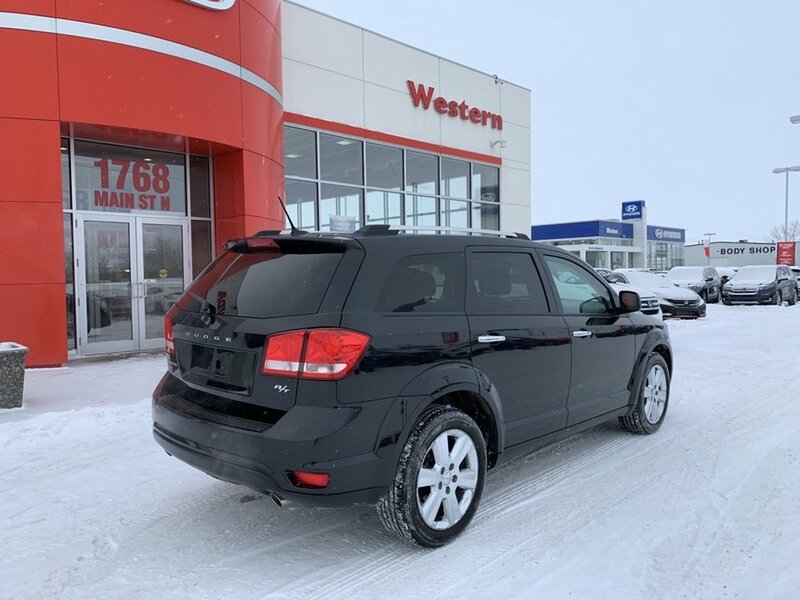 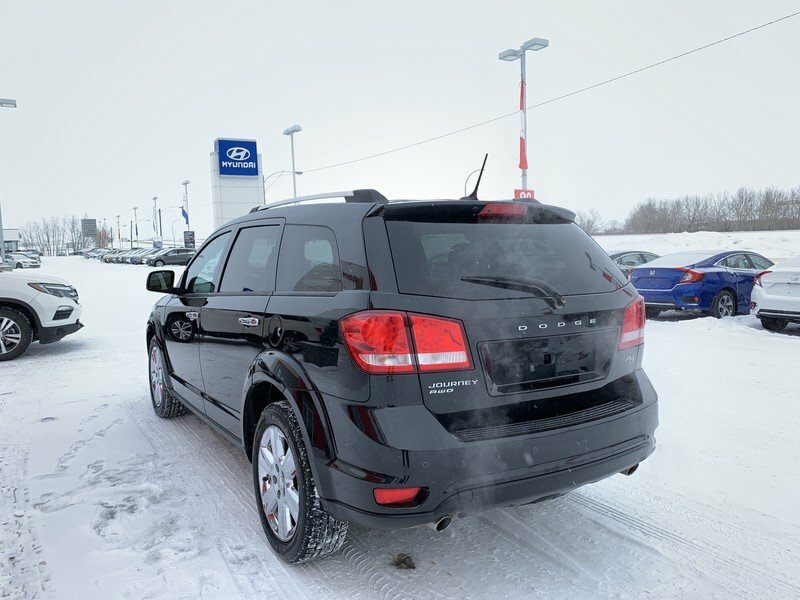 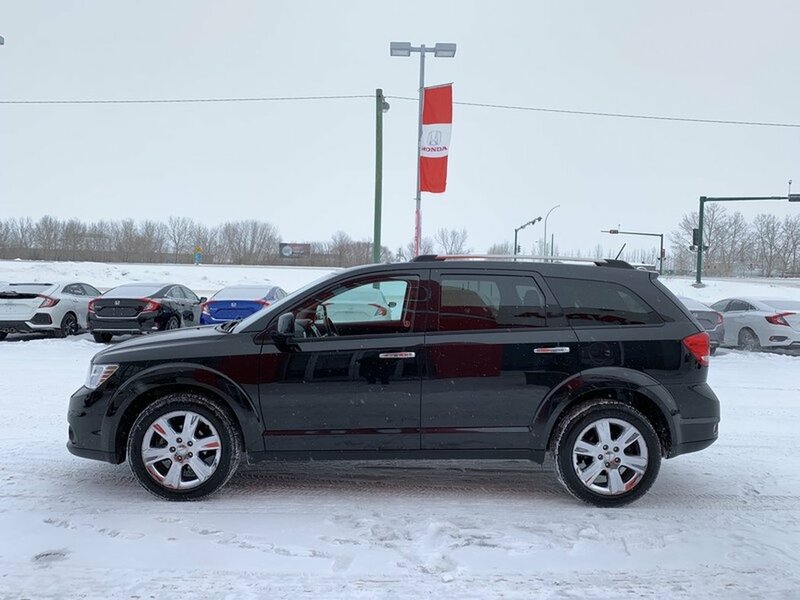 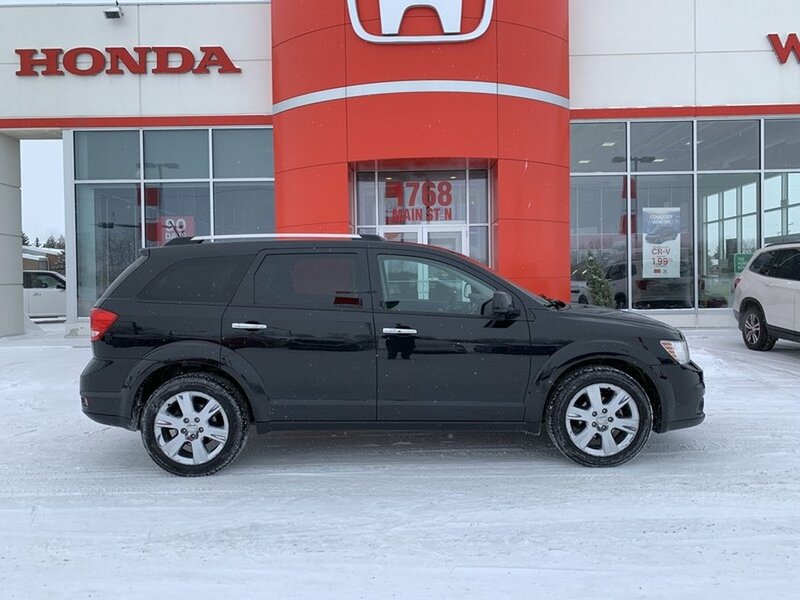 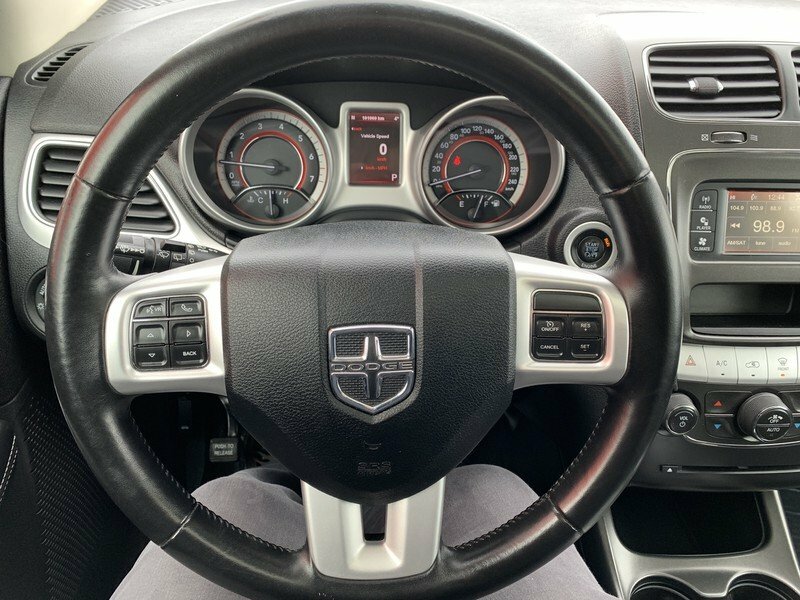 2012 Dodge Journey R/T- Local! 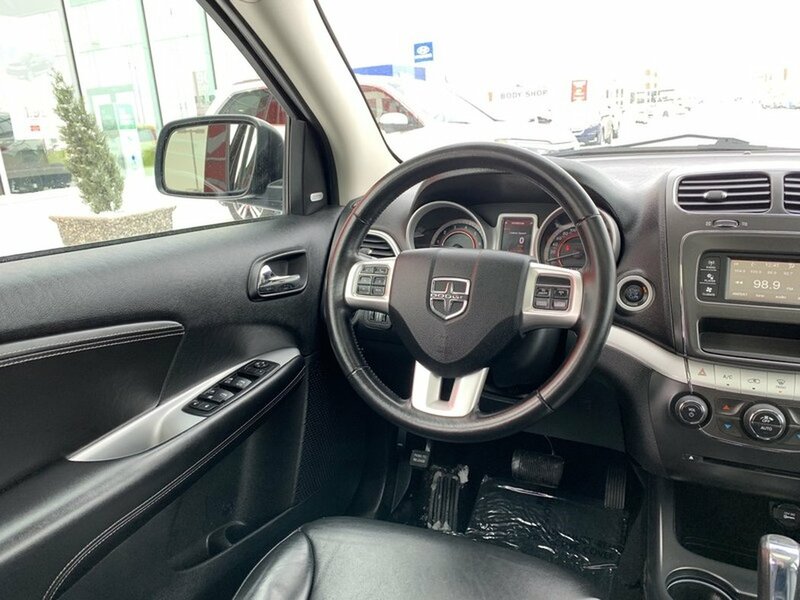 This local 2012 Dodge Journey R/T has been taken care of. 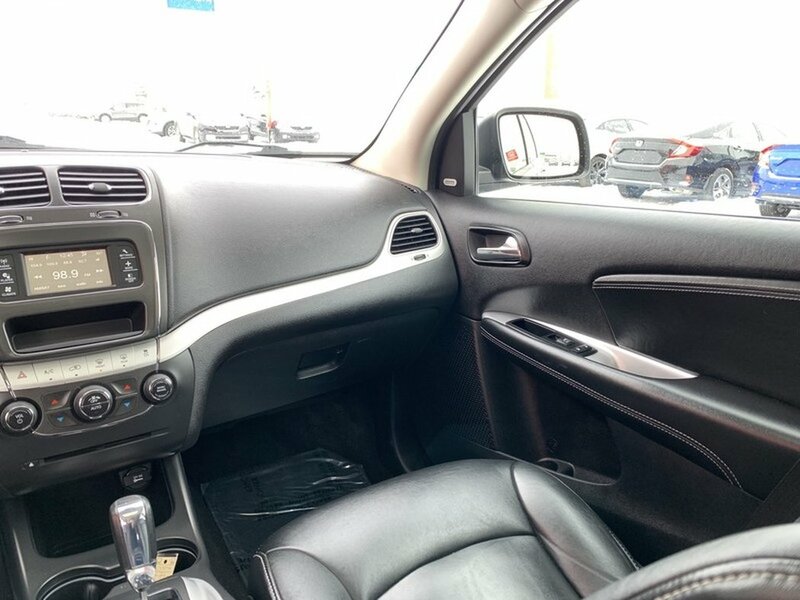 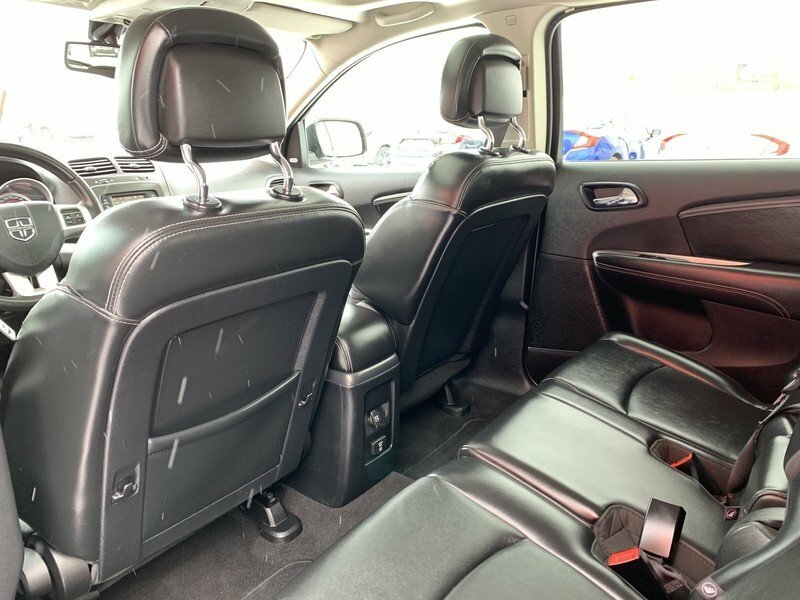 The “Brilliant Black Crystal” exterior is in excellent shape paired with an odor free black leather interior. 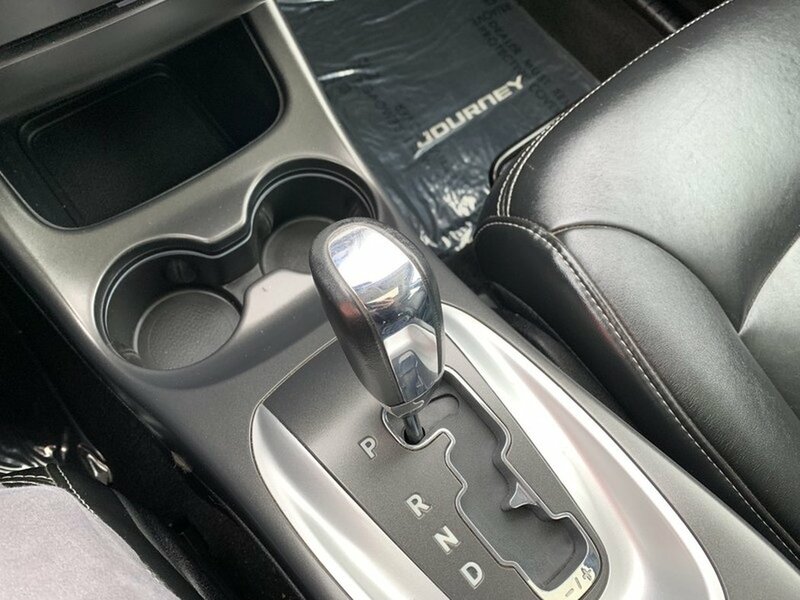 The 3.6L V6 engine has enough power to handle anything you throw its way while also rewarding you with 9.0L/100KM on the highway. 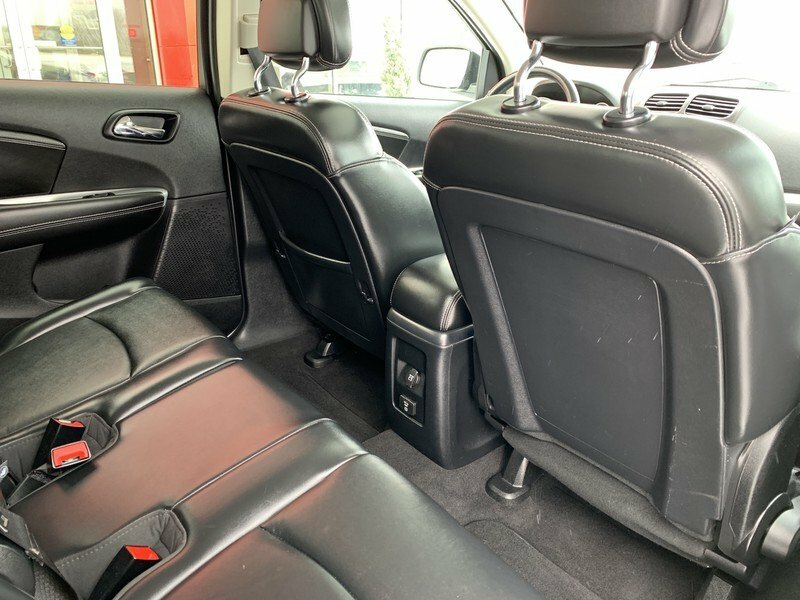 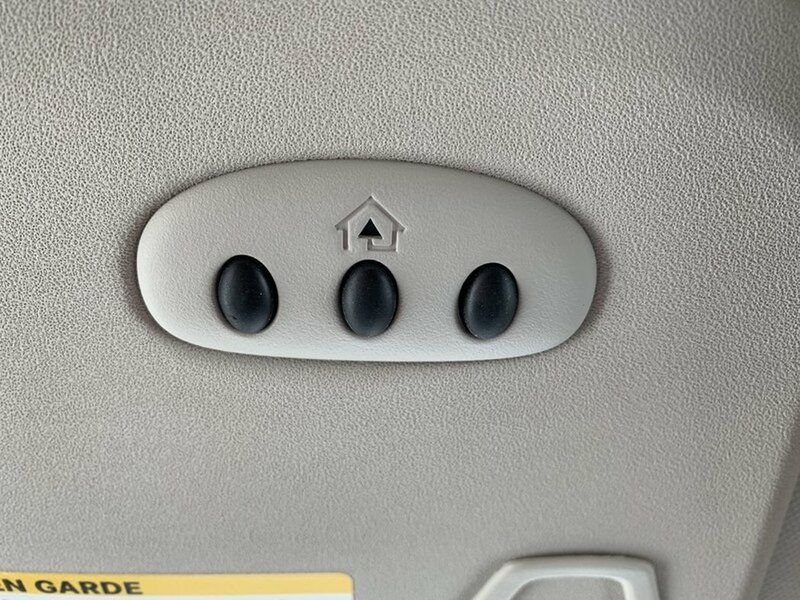 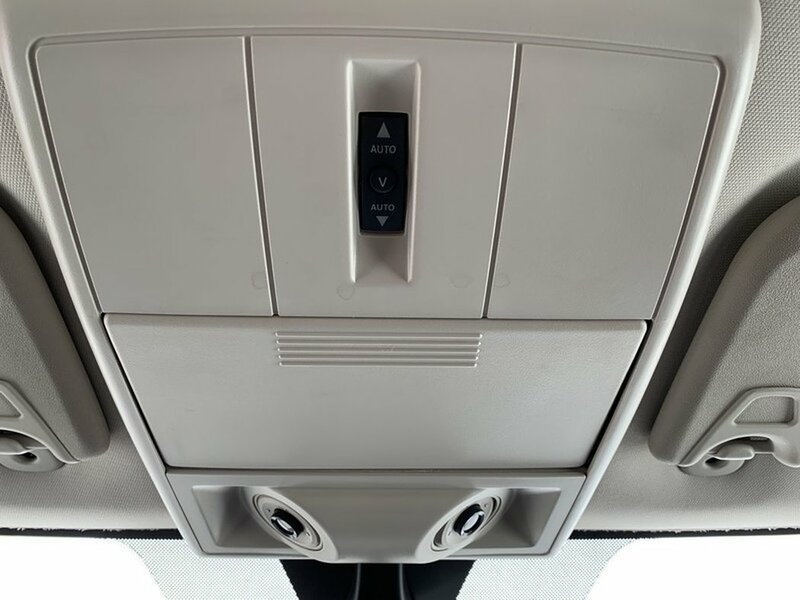 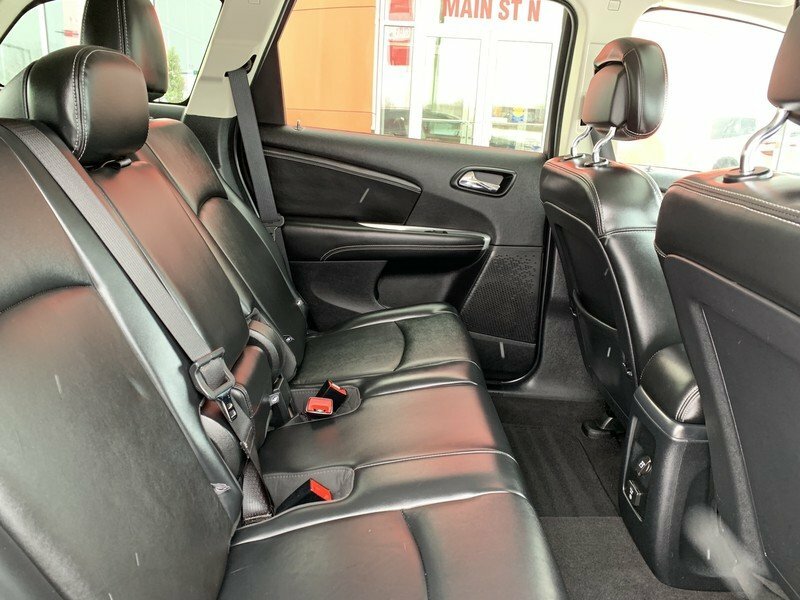 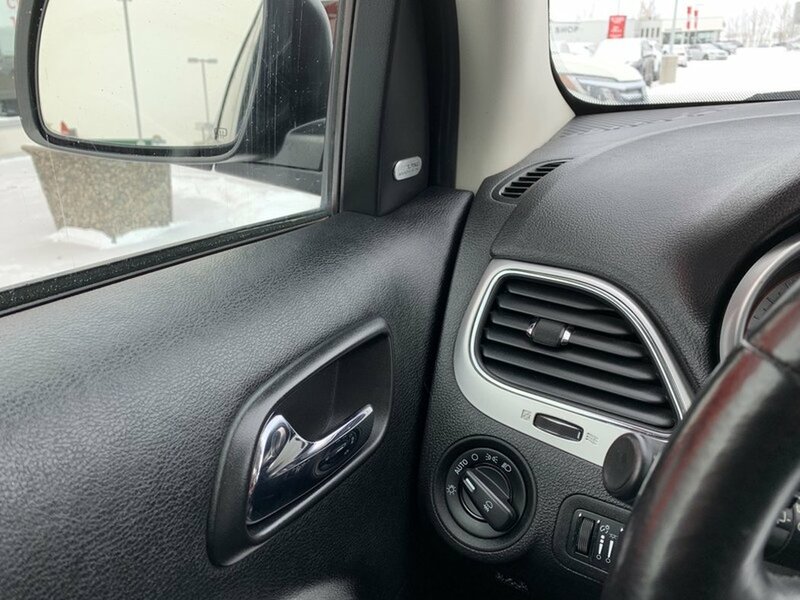 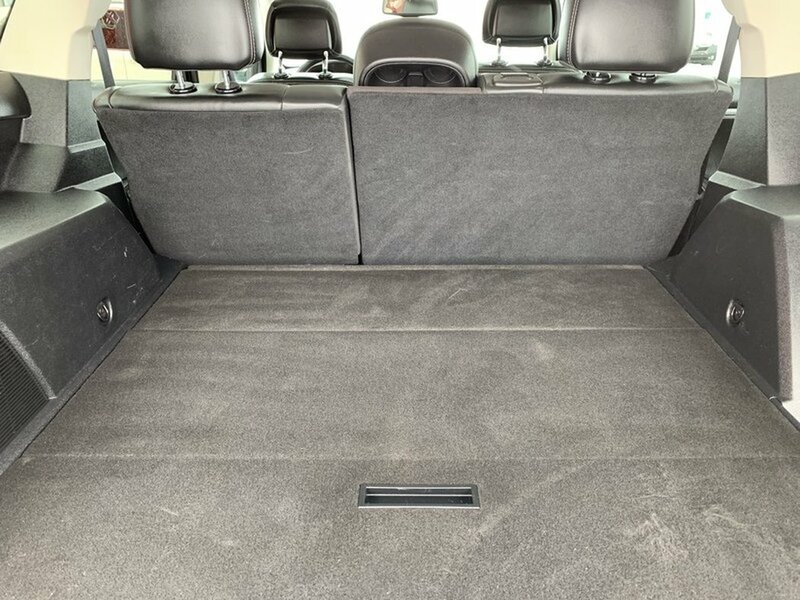 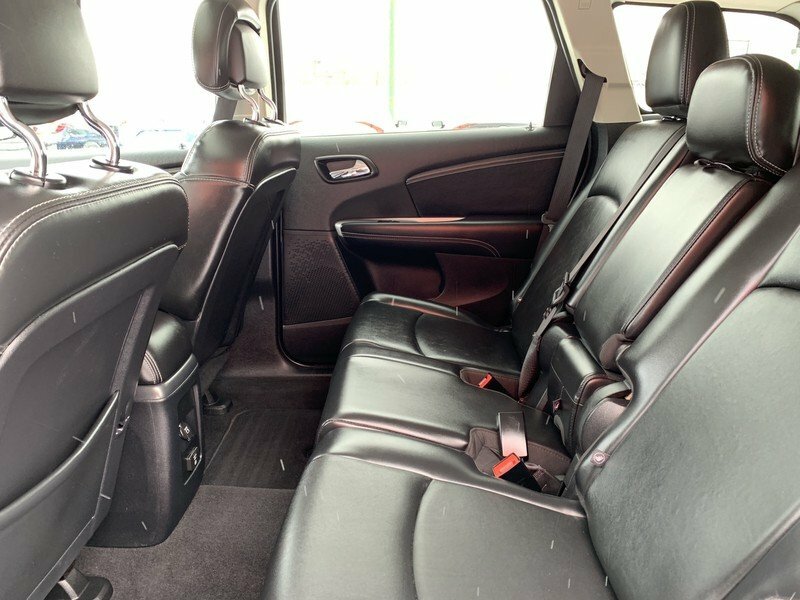 This Journey, shown in the R/T trim, is an SUV that gives you all of the room a mini-van would, without actually driving one. 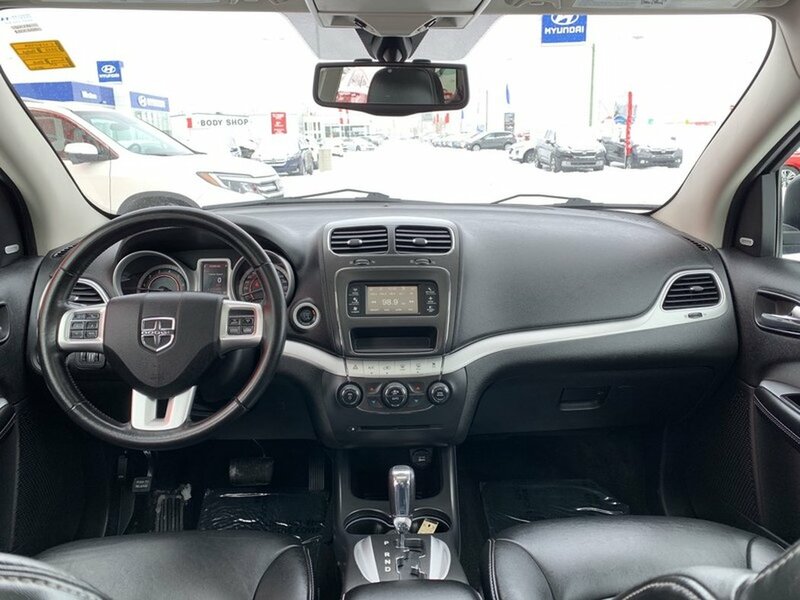 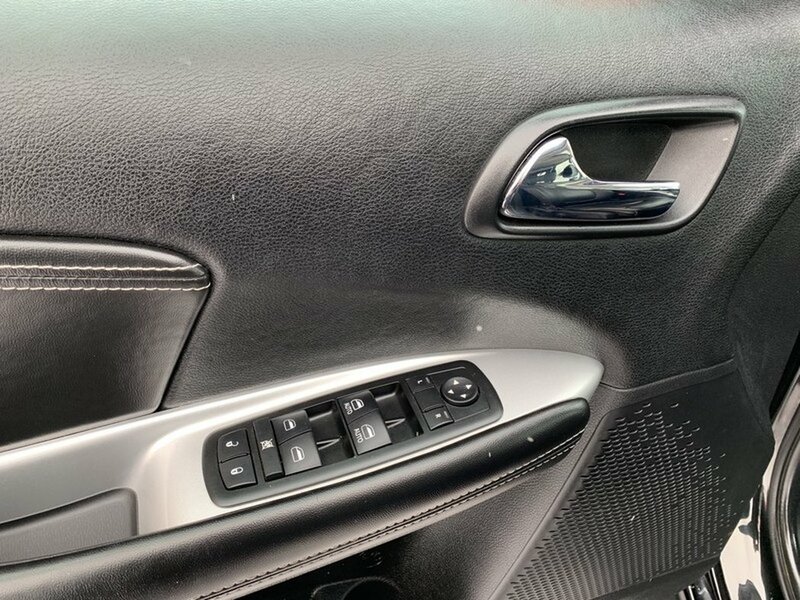 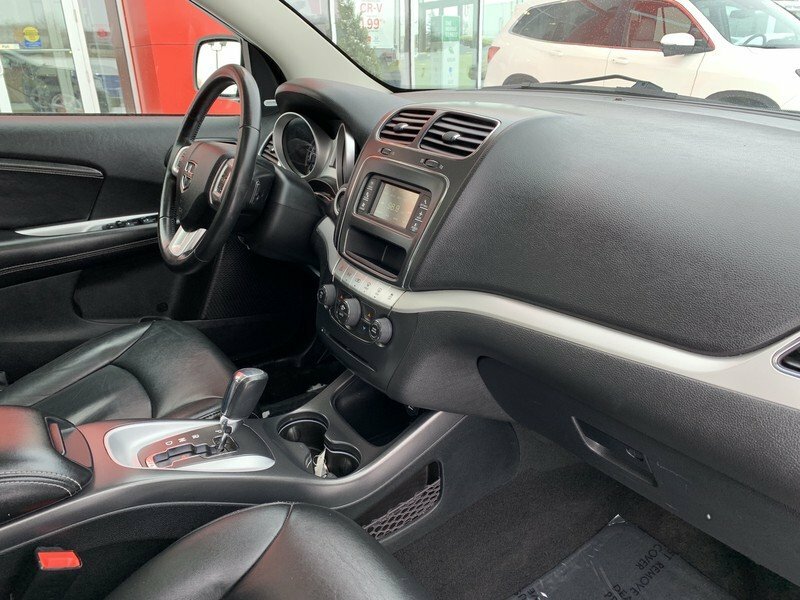 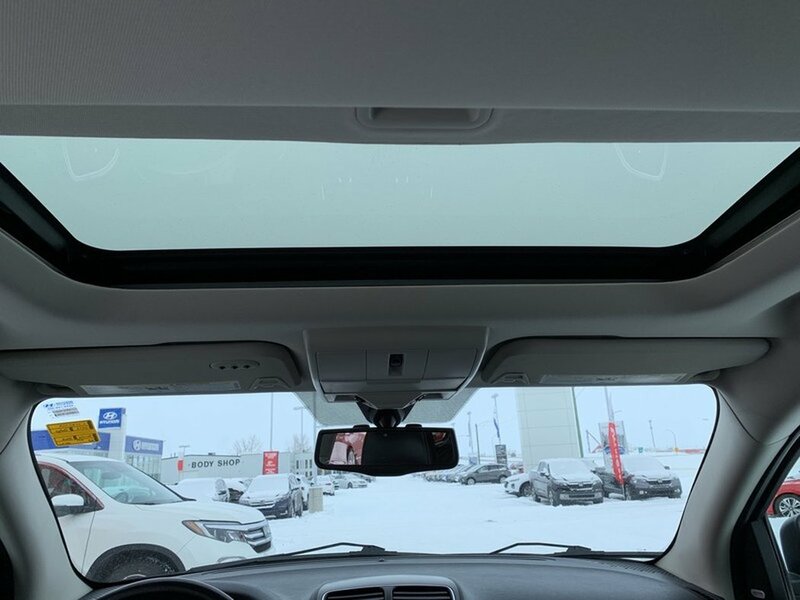 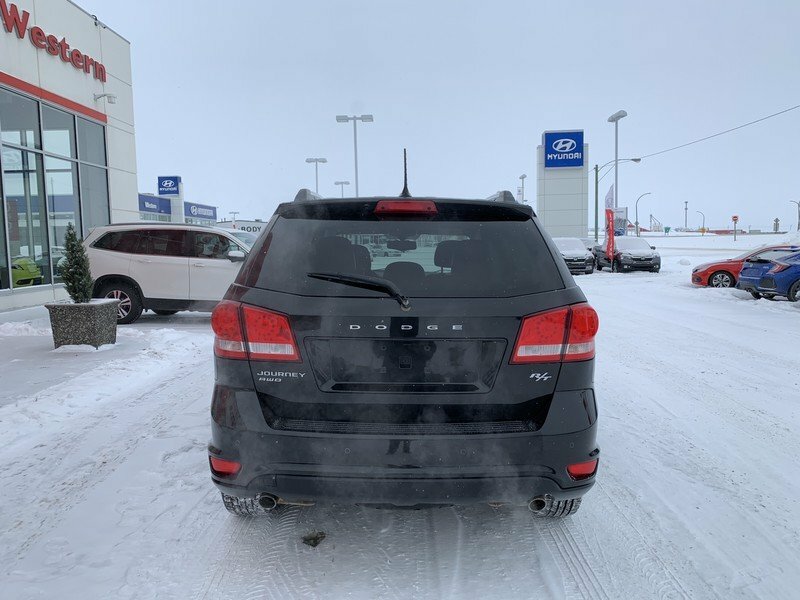 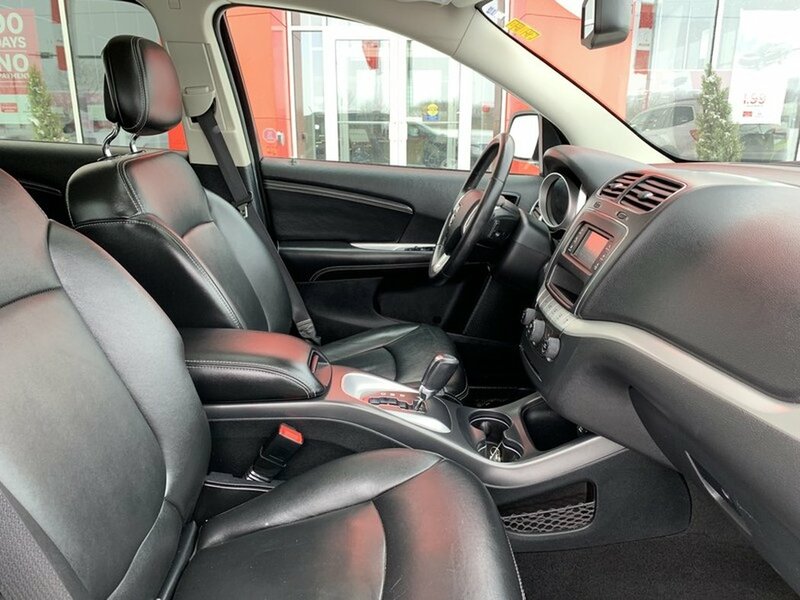 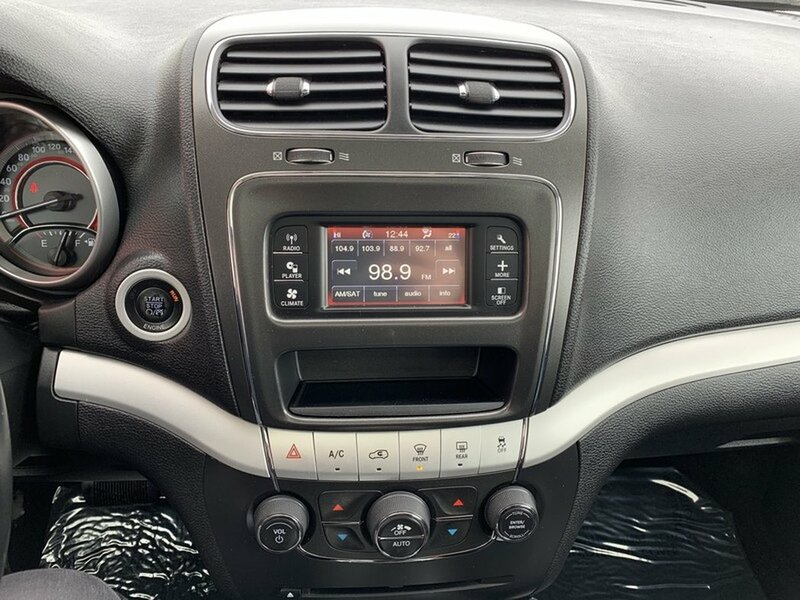 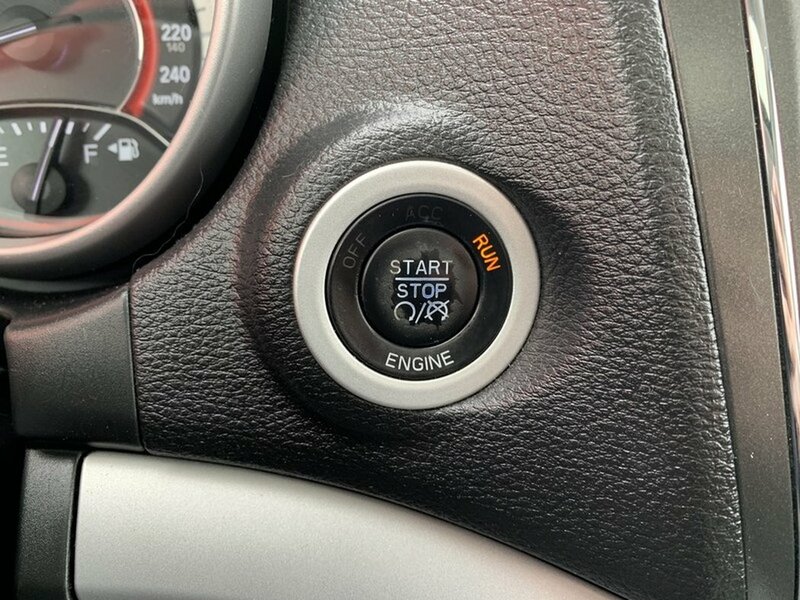 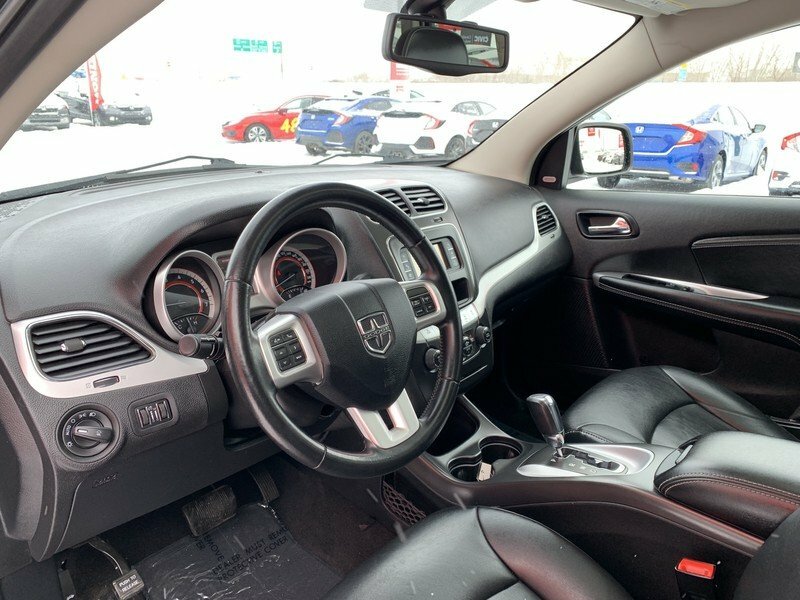 Features on this Journey include; a 4.3-inch UConnect touch audio system, rear DVD Entertainment, power drivers seat, alloy wheels, Alpine premium audio system, performance styling for front and rear, fog lamps, and many other incredible goodies.